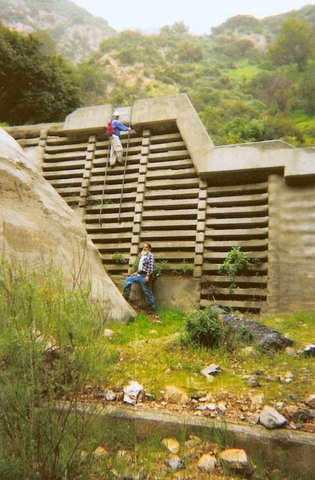 Extensive hard-rock gold mining was performed in three Altadena Canyons during the late 1880’s and 90’s. The Dawn Mine in Millard Canyon is well known to most hikers. 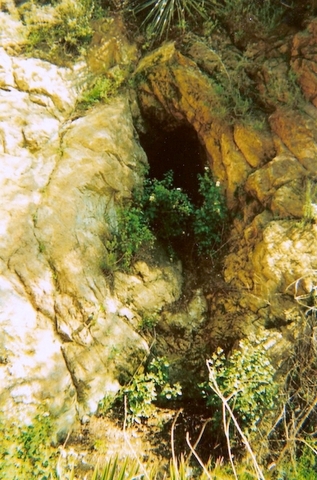 The several mines/water tunnels in Las Flores Canyon near the old Cobb Estate at the top of Lake Avenue are not as well known. The mines in nearby Pine Canyon are known to very few. Pine Canyon is located between Rubio and Eaton Canyons. In 1893 five mines were dug there and a stamp mill installed. But by 1895 drilling had ceased and the mines have since remained idle. The senior writer has been to three of the mines. By far the biggest and easiest to reach is the Surprise Mine located on the canyon’s east side at about the 2000 foot elevation mark. It is 477 feet long including two side passages of 90 and 25 feet. The main passage is 362 feet long. It is 4 feet wide, 6 feet high and normally dry. It is best approached by driving halfway up Stonehill Drive, off of Loma Alta Drive. Park near the mailboxes where Stonehill becomes a private drive. Walk up the private drive about 150 feet and pass through an opening in the cement wall on your right. This provides entry to a handrailed concrete drainage apron that leads up to several debris dams. After going over or around four tall debris dams the canyon narrows and you will encounter three small dry falls, which are progressively more difficult to climb. At this point, which is about a half mile from your car, you will be directly under several power line wires and the mine entrance will be to your right about six feet up a rocky embankment. A larger and more difficult dry fall lies immediately beyond. Two other mines have recently been found much farther up the canyon at about the 3200 foot elevation mark and several hundred feet east of the historic but unmaintained Lone Tree Trail. The first, the Carrie, is 63 feet long and still contains personal articles that belonged to a hermit who occupied the mine for several years during the 1940’s. 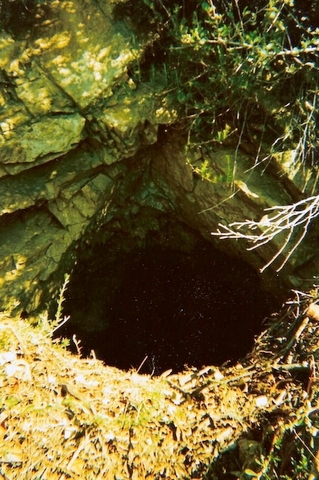 Nearby is the Summit Mine which is only 20 feet long and presumably was an exploratory dig. Entrances to the two remaining mines are now covered up.